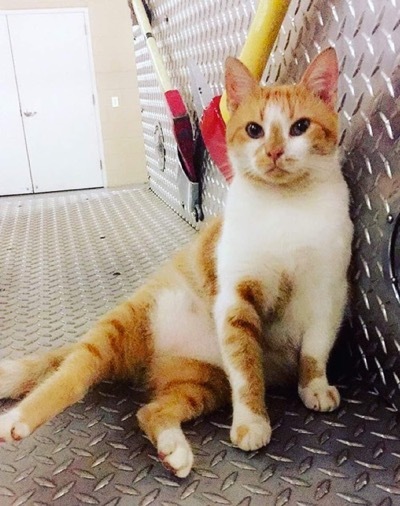 A ginger and white stray cat wandered into a firehouse one day, looked around, liked what he saw and decided to make it his home. 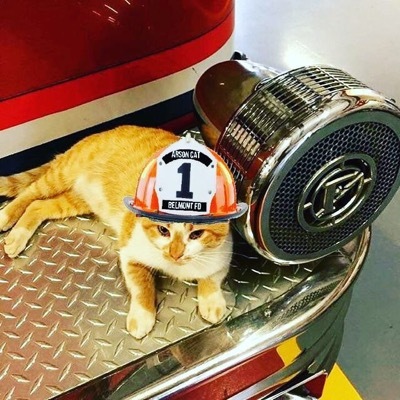 When Flame first arrived at Belmont Firehouse in Greenville, SC, he was malnourished but soon made his way to the kitchen and the boys decided to feed him some fried chicken that someone had left in the fridge. 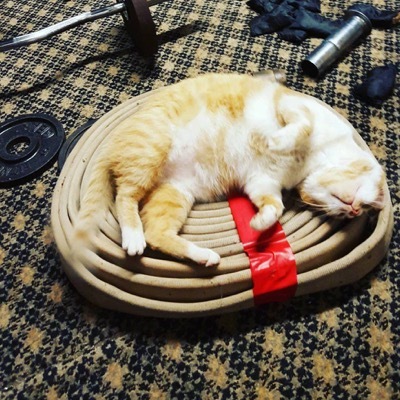 That was it for Flame, he realized he had found his new home. 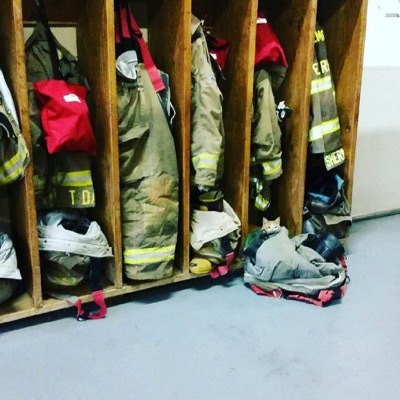 Flame has fitted in perfectly in his new home and is now a valued member of the crew. 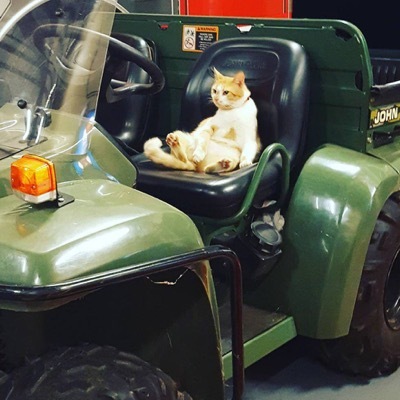 This kitty has made himself at home and has complete run of the place. And takes his job very seriously. 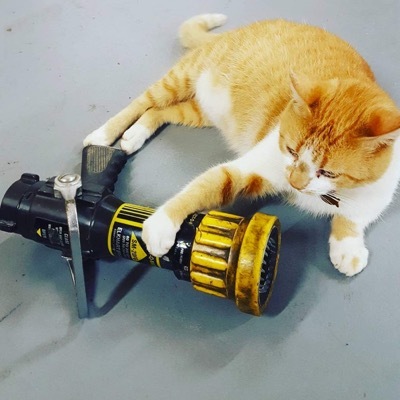 Here he is doing that all important nozzle inspection. 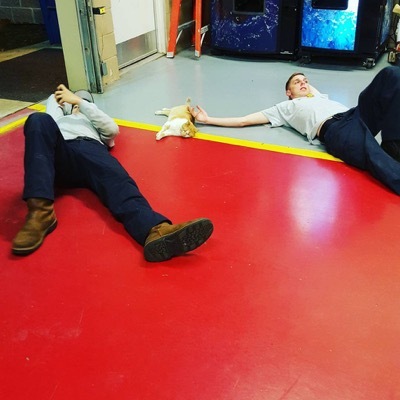 He loves nothing better than relaxing with members of the crew. 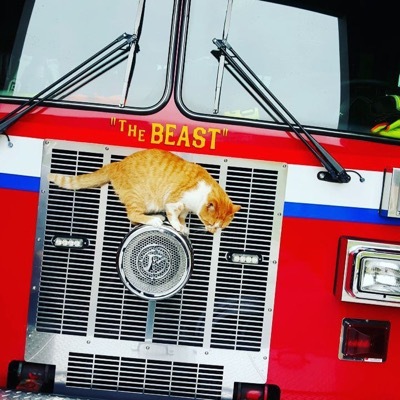 Click here to see 18 Firefighters Who Risked Their Lives To Save Cats!